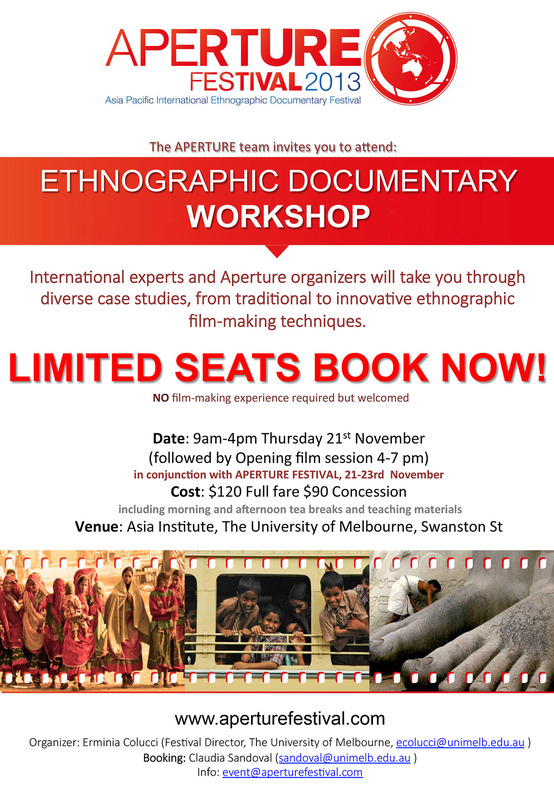 International Speakers and Aperture Festival organizers will be taking participants through diverse case studies, from traditional to innovative ethnographic film-making tecniques. No film-making experience required but welcomed! SEATS ARE LIMITED, BOOK NOW!